Today is Digital Learning Day! It’s a day when the whole nation celebrates all the wonderful benefits of online learning and digital literacy. You know, everything from the cool and advanced technology of courses and anytime learning, to the digital literacy skills that online learning provides to strengthen a student’s learning experience. This not only includes finding and learning from digital content, but also creating authentic digital content, and communicating or sharing it in multiple formats. It also includes valuable soft-skills that today’s employers are asking for – like time management and being efficient in using online resources. 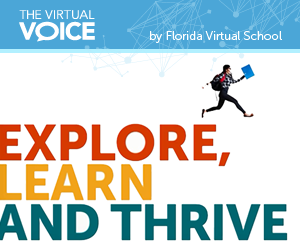 While we are thrilled to be celebrating today with other online learning providers, families, and students, we at FLVS have to admit that we celebrate this stuff everyday! If you’re like me, you follow education policy closely. 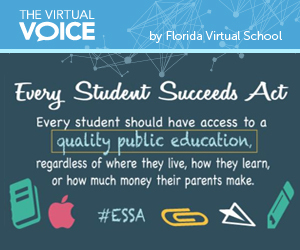 Even if you don’t, it was pretty hard to miss the emphasis put on education this past session here in Florida. You’ve probably at least heard about “House Bill 7029 – Education” in the news and know that it was pretty big. It addresses areas like athletic eligibility, parent and student rights, the option to attend any public school in the state (given that there is space), and so much more. On December 10, 2015, President Obama signed The Every Student Succeeds Act (ESSA). The ESSA will replace the familiar No Child Left Behind Act as the federal government’s comprehensive legislation which governs education and, famously, accountability for schools, teachers, districts, and states. Think online learning is too difficult for students with unique abilities and needs? Think again. 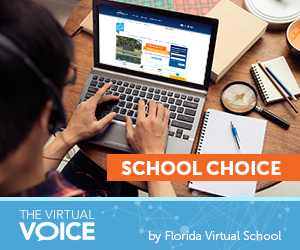 Florida Virtual School has been a proud provider in education for students with unique abilities and needs for many years. Our teachers are trained to work with students and help them succeed and the data is showing just that…success! Let’s take a look at the State funded Personalized Learning Scholarship Accounts (PLSA) program, now known as the Gardiner Scholarship. 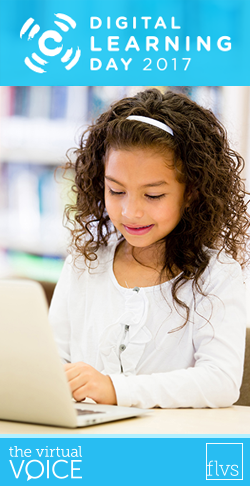 It launched in fall 2014 and allows parents to personalize their child’s education based on the individual needs of each unique eligible child. The funds can be used for therapeutic resources, tuition, tutoring, and even virtual school. 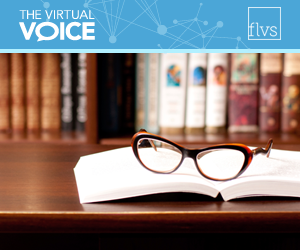 During the 2014-15 school year, FLVS had 215 successfully completed courses from students with a PLSA. Of these courses, 99 percent were completed with a grade of A B, or C. A special thanks to the legislature and Governor Scott for expanding this program effective July 2016 through SB 672. 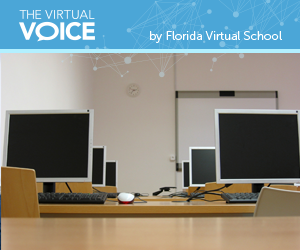 I’ve got one set up that notifies me any time Florida Virtual School is mentioned on a forum or in an article. I usually start my day sorting through two or three of them, and continue to receive notifications from Google throughout the day. Today marks the end of the numerous political ads, signs, and chatter between colleagues about political candidates (until the next election, anyway). November 4, Election Day… let me tell you a little bit about what this day feels like to us in the policy world. November 4th is one of the most important days in our house. As strong proponents in the importance of the democratic process, my husband and I take our children to vote in every election. They understand the importance of state, local, and national elections. 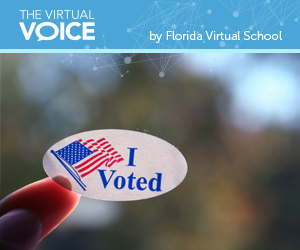 They wear their “I Voted!” stickers to school with pride after they have researched candidates, completed sample ballots, and have as much of a grasp on the issues that six and seven-year-old children can have. Voting, they know, is a privilege, and something they look forward to doing on their own when they are of age. I can only hope that the values we’re instilling in them now are ones that they hold for their adult life and that they will really “walk the walk” when it matters. 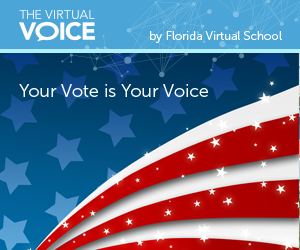 In the last presidential election (2012), Florida reported a voter turnout of 64%; this ranked 16th in the nation. This means that 36% of the population of eligible voters did not to cast a ballot, either in person or via absentee ballot…in a presidential election! Have you ever put a puzzle together only to find out that the last piece or two are missing? Without all of the pieces, you can’t see the whole picture, not to mention the frustration felt from being unable to achieve your goal. Think of education as a puzzle. There is a piece for each different component, but the “access to Wi-Fi” piece is either broken or missing completely. We Got The Green Light! When I was younger, I had all odds stacked against me when it came to learning how to drive. For starters, I have a winter birthday and grew up in the Northern state of Pennsylvania. Those of you familiar with PA can probably already picture it. Teenage me behind the wheel of my Dad’s car (stick-shift no less) surrounded by snow, freezing rain falling from the sky, low visibility, and my route was none other than the foothills of the Allegheny Mountains. My poor father…I had some exciting experiences and he had some pretty terrifying ones as my teacher.